Sure, we get it. Life is life. There are deadlines, cheat days that seem to go on for forever, the gym is an elusive destination and sleep…what’s that anyways? Your skin is a mirror, reflecting the stress factors that life throws at you and, thus, your complexion becomes gets dull. Bad food = bad skin. Your body and your skin (remember, your skin is the largest living organ you’ve got) need appropriate nutrients to help it function at its best. It’s always better to shop on the outside aisles of the supermarket. According to studies, clocking in approximately 7-9 hours of sleep per night does your body and your skin some serious good. Sure that may be asking for much but even trying to get a few of these a week is always a good start towards healthy, glowing skin. It’s impossible to say “just get rid of stress” because that’s just not realistic. However, you can work on ways to handle the stress such as taking quick work breaks to clear your head. Listening to your favourite tunes. Choosing your battles (yes, that’s right!) and if your job permits, moving your mobile phone to another room before bed gives your brain some time to unwind while your body is trying to do the same. Do you ever wonder why athletes look so radiant? Circulation is key so keep moving. You don’t need to achieve Herculean levels of fitness in your workouts, just focus on keeping the blood flowing. Good blood flow helps delivers oxygen and nutrients to your skin cells and helps move debris away thus cleansing your skin from the inside. You don’t need a complicated skin care routine to revitalize your epidermis. As long as you work on giving your skin these specific TLC treatments you will seriously get lit. Removing cellular debris is key in order to restore the radiance. Your skin cells regenerate approximately every 28 days but when they aren’t removed, they don’t offer the same reflective properties as healthy hydrated skin. Why: Lotus seed powder (that has natural moisturizing and calming properties to help you get that healthy glow) and microcrystalline cellulose and biodegradable exfoliating agents that are smooth and spherical. Why spherical? Because non-spherical exfoliating agents can irritate or injure the skin. Why: Lactic acid, Lime Pearl and soy amino acids gently exfoliate the dead skin cells brightening the skin and reducing the appearance of fine lines and wrinkles. Superox-C, loaded with vitamin C, provides much-needed antioxidant protection from free radical damage. Arnica calms and soothes the skin as well. 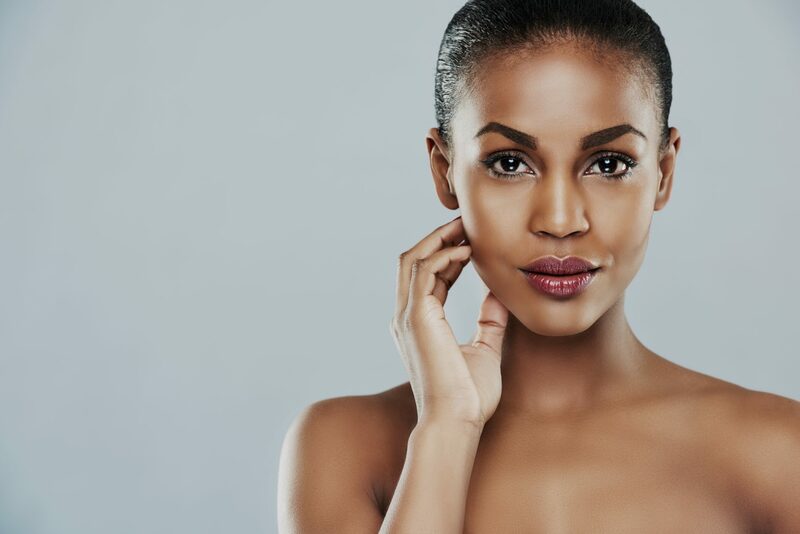 Ensuring that your skin’s moisture is topped up on the regular is also an important (and often overlooked) factor when it comes to your daily skincare routine. And yes, it’s important to keep your skin hydrated throughout the day, but also equally as important to make sure that your skin is hydrated before you go to sleep. And remember when the temperature drops the moisture needs of your skin goes up. Why: This intensely moisturizing formula nourishes and improves your skin texture by using soothing and hydrating ingredients such as sodium hyaluronate, aloe and niacinamide. Powerhouse peptides firm and strengthen skin, reducing the appearance of fine lines and firming the skin. Why: This formula has a combination of exfoliators and hydrators scientifically created to reduce the visible signs of aging while promoting smoother, brighter, more radiant skin. Lactic acid (8%) and gluconolactone remove cellular debris, increase the rate of cell turnover and reduce the appearance of hyperpigmentation and smooth fine lines and wrinkles. Allantoin, sodium hyaluronate, and vitamin B5 hydrate. This skin is soothed by green tea and arnica. First off it’s time to state another obvious rule for healthy skin: Stop sleeping with your makeup on! There are days when you think you’ve simply worn off your makeup but the truth is it’s still there and your skin needs a proper thorough cleanse. We all love that freshly washed feeling when it comes to our clothes. The same is true when it comes to your skin. Even though you don’t see it, the dirt is there and a proper cleanse is something your skin will thank you for. Why: This pH balanced cream cleanser gently removes impurities, excess oil and makeup. The yucca root extract —a natural cleanser—gently cleans your skin. Vitamin E, sunflower seed oil and Argan oil moisturize, leaving your skin smooth, soft and super hydrated. These internal and external tips will definitely put you on the right road towards healthy and radiant looking skin. So the next time you catch your reflection in the mirror, your skin will be telling you that you’ve done good!